Want to finish your IFR Rating in 7 days? If you're interested in getting your instrument in 7 days, this is the program for you. There are no gimmicks to this, its hard work, and requires your full concentration. However, when you're finished, you'll have gained solid experience in the real world of IFR. You will receive at least 30 hours of one-on-one flight instruction on some of the most challenging instrument approaches in the South East. You'll fly at least 25 approaches during the program, many with SID's STAR's and holding patterns. You'll be astonished at how much you will learn. When you are not in the air, you will learn techniques that will simplify otherwise complex procedures such as procedure turns, holding pattern entries and many others. Don't spend 9-12 months and $15,000 to $20,000 on your instrument rating! Condensed training experiences will not only save you money, the intensity guarantees that the lessons last a lifetime. Your training is accelerated and less time is spent reviewing the last lesson... a real money saver. None of the other accelerated programs provide the comprehensive, high quality learning materials: the Oral Exam Prep Kit and the Instrument Rating Pre-Checkride Review workbook. Demand more, and get the best instructor for accelerated training. The three-day IFR Adventure is an integral part of the seven day IFR rating training and guarantees a unique training experience and adds up to a true flying adventure that will make you a more knowledgeable and confident pilot. We integrate the IFR Adventure into the course not only to meet certain instrument rating requirements, but also to serve as a real world capstone experience which increases your confidence in the IFR system. Read about Accelerated Training Programs in the reading library. What if you want a slower pace than a 7 day instrument rating training course? A 10-day program is available at a slightly higher cost. If you are considering any flying career (airlines, flight instruction), consider getting your mult add-on to your private, then doing your instrument rating in a multi. For a small incremental cost, you can be building multi time while doing a rating you're going to need anyway. It lowers your over all cost to get into an airline career. I do the IFR rating training for multi students as a 10-day program for the same cost as a 7-day program. If you are interested in a career with the airlines, read Why You Should do Your Instrument Rating in a Twin. This is a quick, efficient, structured training program to get you through this training with minimum pain, maximum quality. We constantly evaluate our competitors to ensure that our program provides the highest quality at the most reasonable cost in the country... compare for yourself. We're not beat by anyone. Safety: techniques for safe instrument flight are emphasized by your instructor. Personal attention is provided as you progress through your training program. You'll never wonder about your progress. You will never fall through the cracks. The chief instructor has been a teacher since 1996, is a Master Instructor (NAFI), Advanced Ground Instructor rated (FAA), a Gold Seal Certificated Flight Instructor (FAA), an Aviation Safety Counselor (FAA), and a former airline pilot. Your instructor is a highly qualified ATP-rated, FAA Gold Seal, NAFI Master instructor with 100% pass rate. None of the other local providers use an instructor of this calibre. Are you really ready for an Instrument Rating? You already have 10-15 hours of hood training. 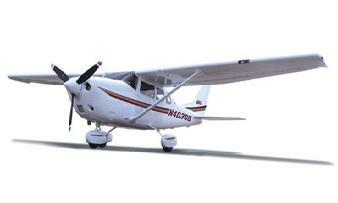 You are already proficient under the hood and can perform basic IFR maneuvers to PTS standards. First day test is the Bravo Pattern, see Basic Attitude Instruction for more information. You want a slower paced program. You are doing the program in a complex or multi engine aircraft. You are starting with zero time and need to go from VFR to IFR rated. You already meet the minimum requirements to get the rating. See below, "Prerequisites..." for rating requirements. You need to build your confidence in the IFR system. How does this compare with other programs? 7-day IFR.COM, OUT OF BUSINESS - parked at godaddy. Why is it so much cheaper? No advertising, no $3,000 glossy ads in magazines, and low overhead. What's it like to save $1000 or more compared to other programs? Its enough to pay the fuel/oil for your next big trip! This program starts on a Friday or Monday. The checkride is scheduled the following Monday morning. Check the schedule for availability. Plan on arriving the day prior to the start of your training to get settled. Buddy Training: Train together at a slower pace 12-day program $3,750 each - 70% more training for less. Certain aircraft, because of their complexity, require additional time to become confident in real world IFR conditions. If your aircraft burns Jet-A, has more than one engine, or is a helicopter, you get an extra day of instructor time. Free. Helicopter? See the 7-day helicopter instrument rating training. <>Cancellation policy: If you cancel at any time prior to your scheduled date, we will apply your deposit to a future date only if we are able to fill your reserved spot with another student. Aircraft or anything related to the aircraft (Fuel, Oil, Insurance, Rental, Gov Fees, Repair, Etc), Meals, Ground Transportation & Lodging for you & your instructor, entertainment or any personal expenses you might encounter. You must supply your own aircraft, oil & fuel. Evidence of citizenship: US passport or birth certificate with government issued picture id. IFR Information Navigation: General Info Instrument Rating | Instrument Rating Lesson Plans | 7-day IFR Rating | IFR Adventure | Instrument Ground School | Safety Pilot | Holding | IFR Risk | Trip Reports | Flight Profiles | Rating Requirements | After the IFR Rating | Checkride Reviewer | Are you really ready?